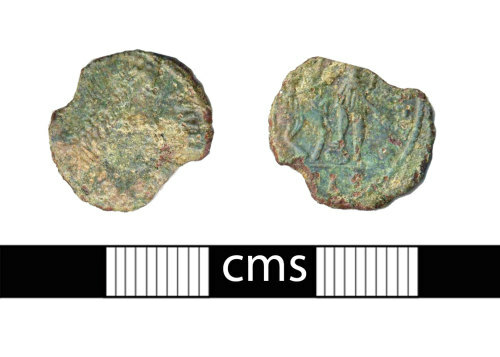 A worn and incomplete copper alloy Roman nummus (AE3) from the House of Constantine, probably Constantius II and dating to the period AD 355-361. Reece Period 18. FEL TEMP REPARATIO (fallen horseman?) reverse type, mint of Lugdunum (Lyon).